Have you noticed that your rabbit’s coat is changing? That’s nothing to worry about! In September, rabbit coats already start showing some slight changes as the cold season approaches. 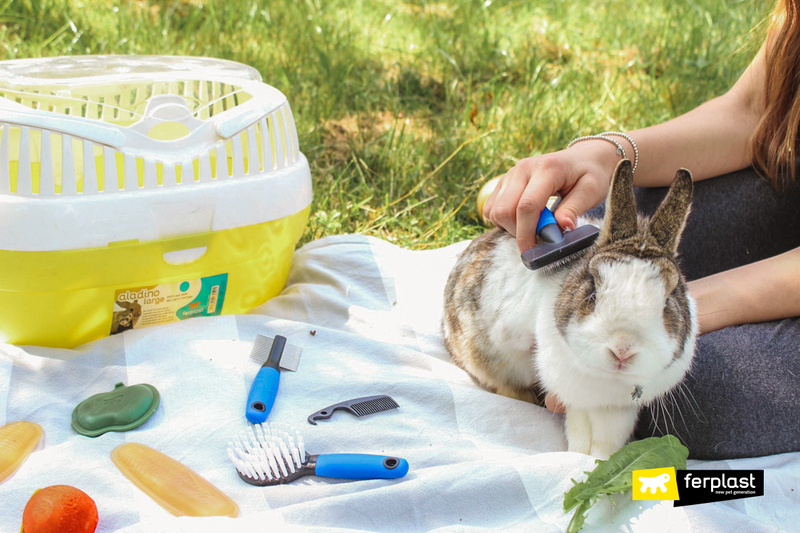 Here are some tips about how to take care of your rabbit’s fur as autumn approaches. The proper management of your rabbit’s fur coat is very important. After all, it is its only ‘clothing’ and what keeps it healthy in both warm and cold temperatures. 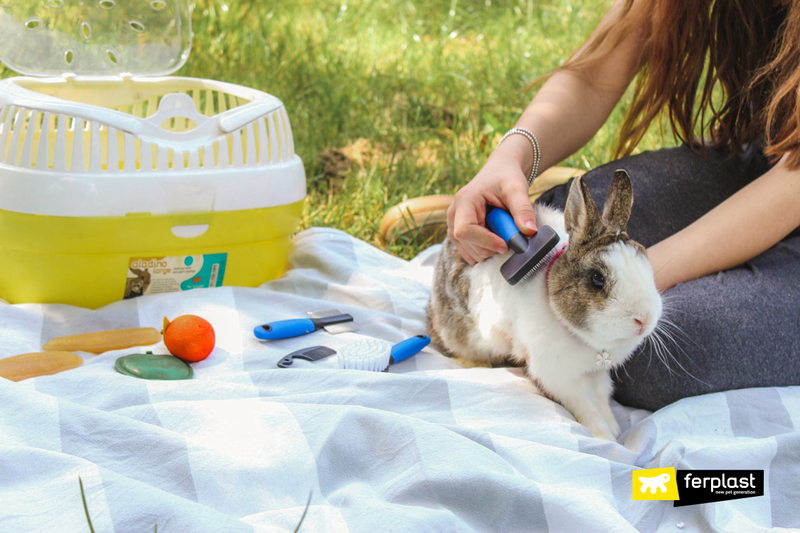 As summer ends and after having spent a lot of time outside, your rabbit’s summer undercoat, which showed up in spring, will slowly transform itself into a thicker, softer and more enveloping winter coat. The process is called moulting, that is, the shedding of the old coat to make way for a new one. 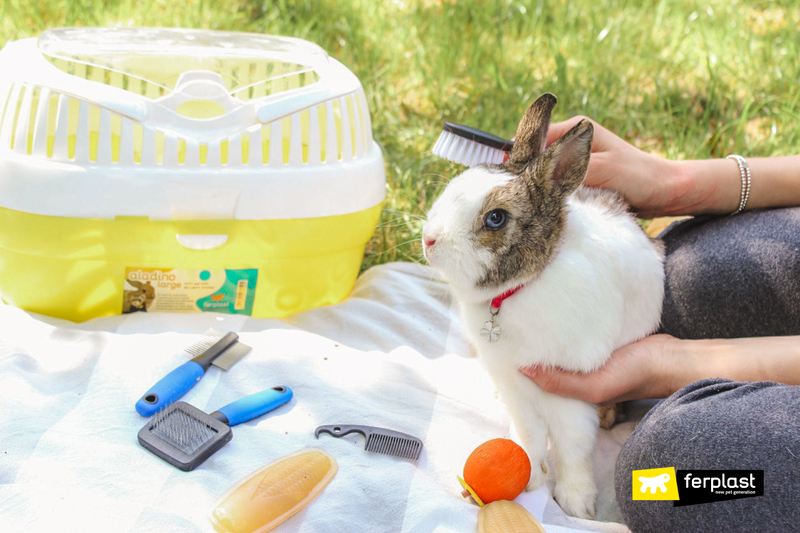 You play an important role in this process: you need to take care of your rabbit’s coat by brushing it every day to help eliminate the dead hair. 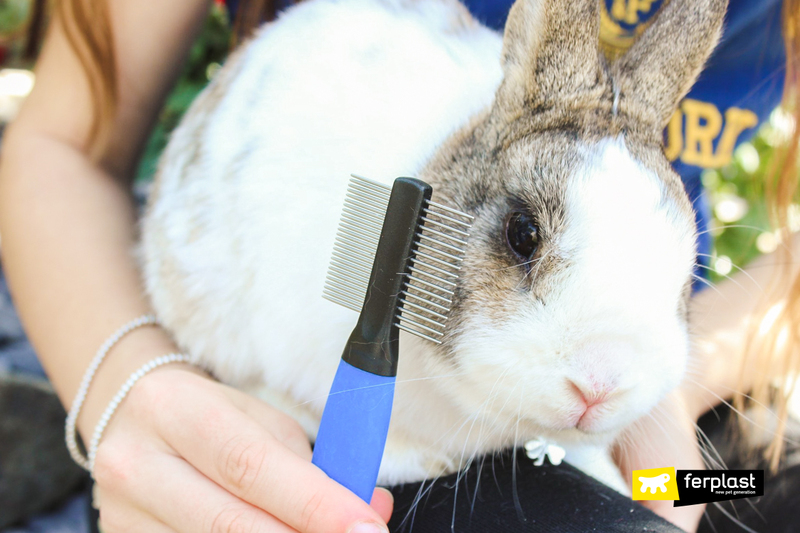 To make the daily brushing a pleasant event you need to get your rabbit accustomed to being brushed at a tender age. Its fur is delicate, sensitive, so you need to use the right brush, that is, a soft one that does not irritate the skin below the fur. Ferplast makes a variety of brushes and combs, each one designed for a different type of fur. 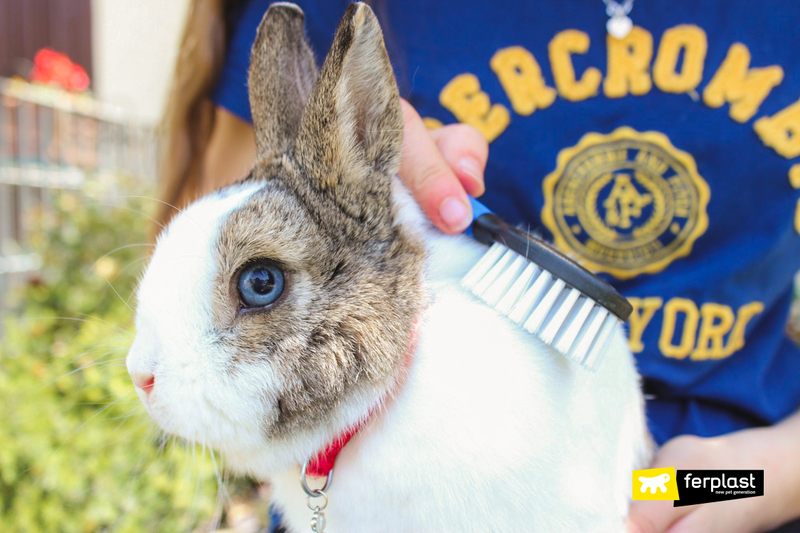 Short haired rabbits require a good brushing with a flea comb a few times a week, and a soft bristle brush for everyday grooming. 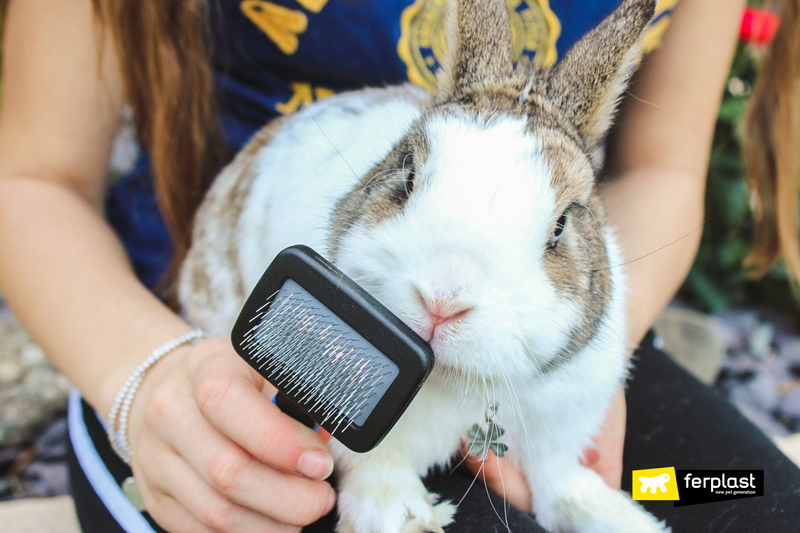 Long haired rabbits you need a slicker brush, a wide toothed comb, a soft brush and a variety of tools to handle specific situations and remove mats. 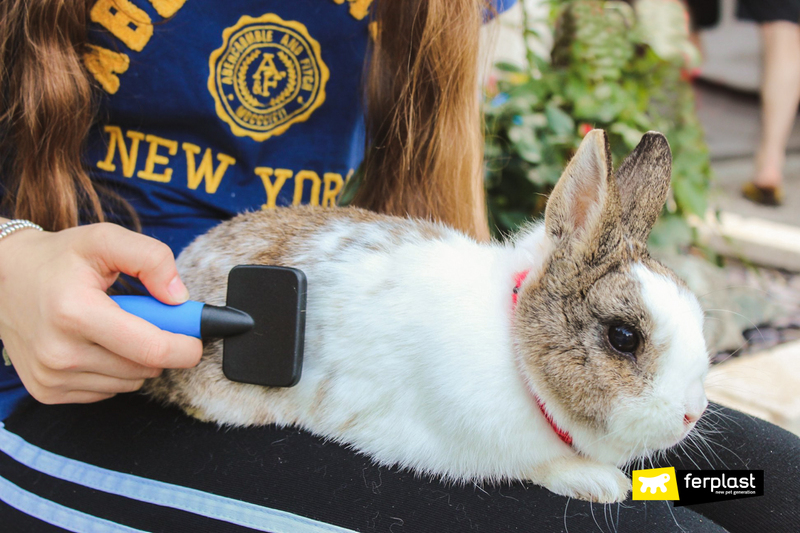 You should groom your rabbit’s fur to make it soft and highly insulating, which means you have to brush it often, being careful not to press too hard as that could irritate the skin beneath the fur. The areas where the fur tends to mat are behind the ears, at the base of the tail and on the tummy, critical points where the rabbit hates being touched! 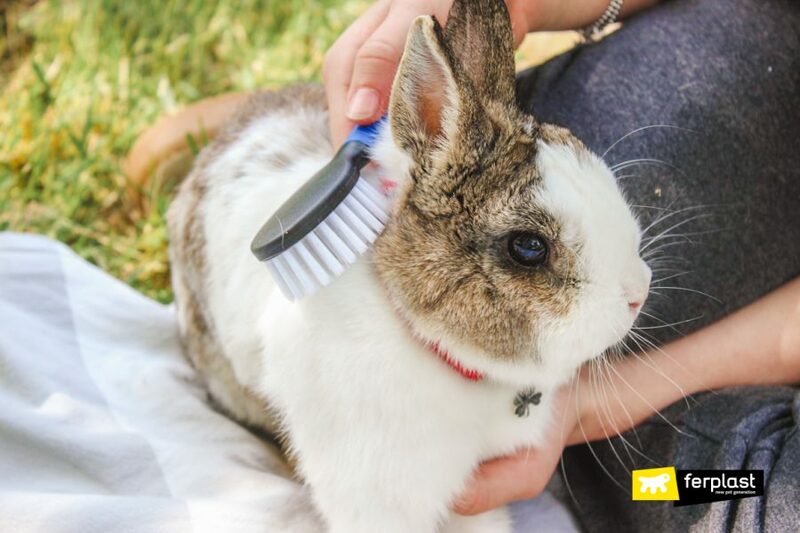 Brush gently in the direction of the fur starting from the top of the head and then over the back, and then from the head to the neck (under his little snout) and his front paws and tummy. To make the rabbit feel safe, cradle it in your arms, at least when it’s still young! To make its fur shinier in autumn you can increase the amount of hay it eats and reduce the quantity of fresh veggies. This variation in its diet will also help the rabbit digest better.